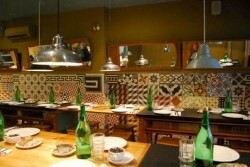 Petiscaria Ideal Restaurant is located in the Baixa area of Portugal’s capital, known as the ‘downtown’ district. 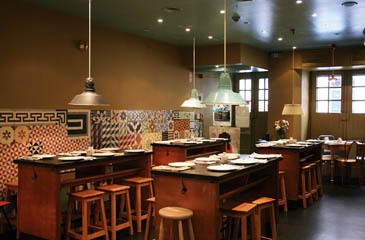 This bustling and friendly restaurant in Lisbon can be found right next door to its sister establishment, the Taberna Ideal. However, the ambience here is more laid back, creating the feeling of being in a busy bar rather than in a sophisticated restaurant. 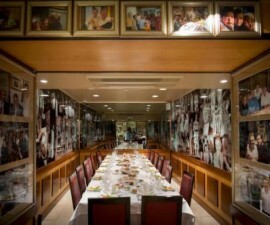 Therein list the charm of Petiscaria Ideal Restaurant. 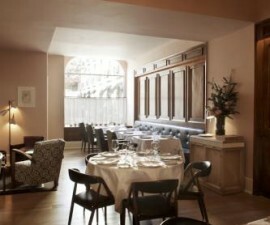 It is a place where diners are surrounded by a frenetic atmosphere but where, for the time they eat their food at least, the world around them stops while they are transported to an alternative gastronomic plain. Sharing is the order of the day here. Most of the food is served in small portions in ‘tapas’ style, designed to be consumed in unison with your dining partners. Not only does this make for a fun eating experience, it also provides the opportunity to sample many more delights from the menu than a simple three-course meal would afford. The food is a combination of traditional tasting dishes from all over Portugal and includes such delights as caldo verde (cabbage soup with pork sausage, far tastier than it sounds); seafood rice; pork with mussels; baby cuttlefish; and octopus cooked in tomatoes. 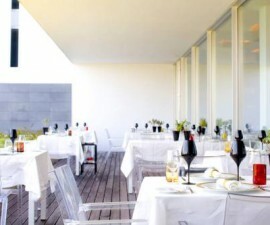 There are also some great wines from Portugal’s excellent vineyards to choose from to accompany your tasty meal at this unique restaurant in Lisbon. 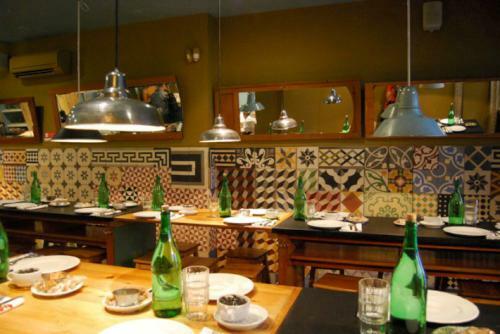 There is no booking allowed at Petiscaria Ideal Restaurant so if you want to be sure of a table without a wait at this restaurant in Lisbon it is best to arrive early. A fun quirk of the place is that when you arrive, you are asked to write your own name on the blackboard, which ensures that despite the bustle the right people get seated in the right order. Be prepared to sit in relative proximity, as the majority of the seating is in bench style with long banks running across the room. This is cleverly broken up with some stylish low-level lighting which is designed to focus on you and your eating companions rather than your next-door neighbours. Of course it does also mean that you stand the chance of being seated next to some interesting locals or overseas visitors and making some welcome new friends as you dine. Opening hours are from 7.30pm to 2am, Tuesday to Saturday. Closed on Sunday and Monday.